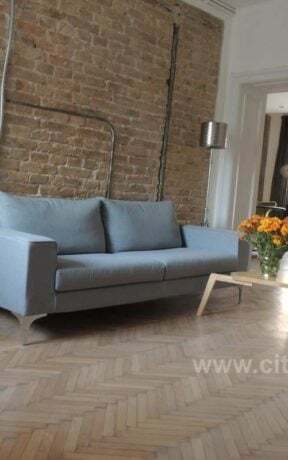 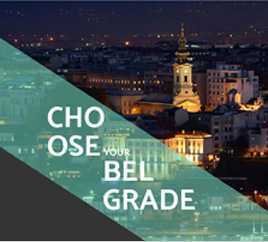 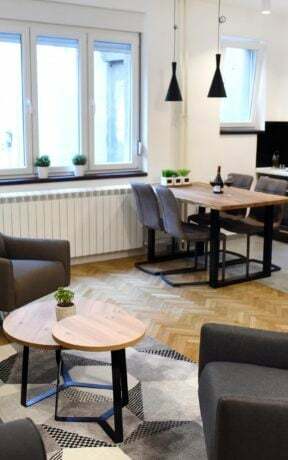 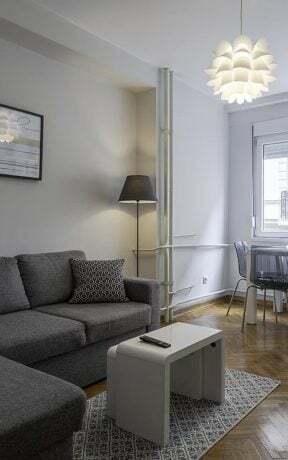 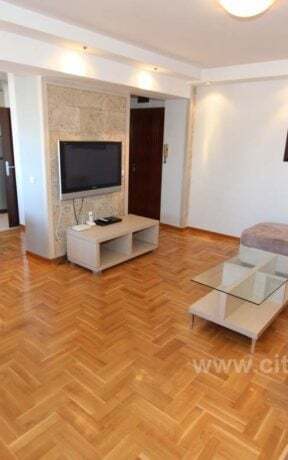 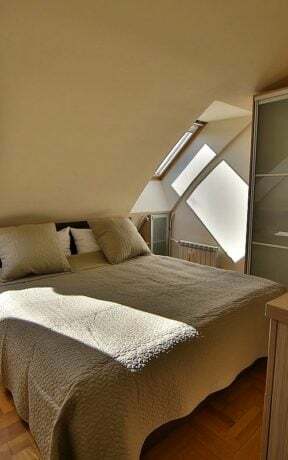 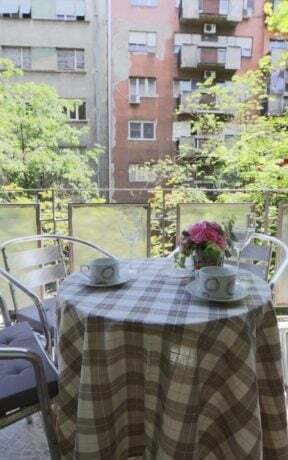 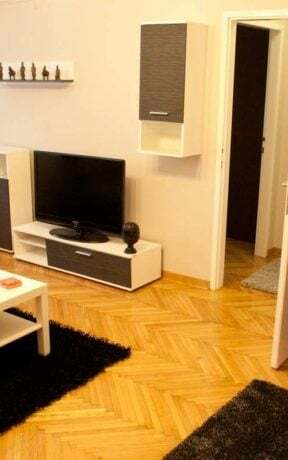 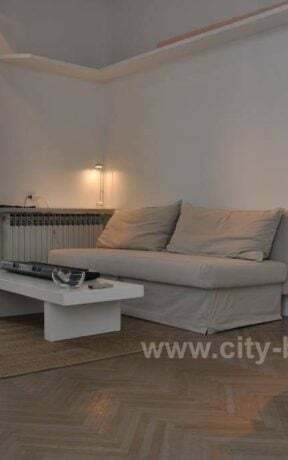 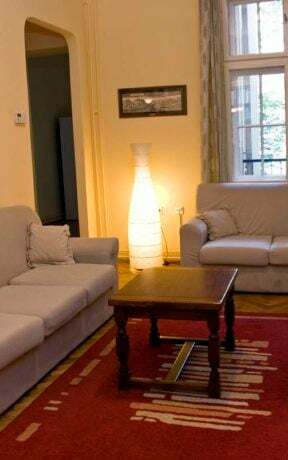 The building is in vibrant Dorcol only minutes away from the world famous Kalemegdan medieval fortress, bohemian quarter Skadarlija, attractive street Strahinjica Bana and the bank of river Danube. 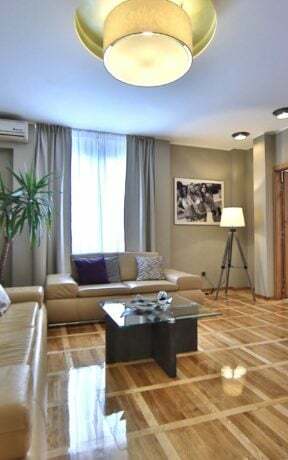 Pearl Forest” Apartment, unique and sophisticated, is located in the heart of Belgrade, in Gospodar Jovanova Street. 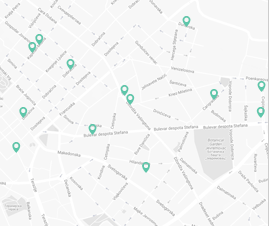 It is surrounded by many cafés, restaurants, bookshops, cinemas, theatres and museums. 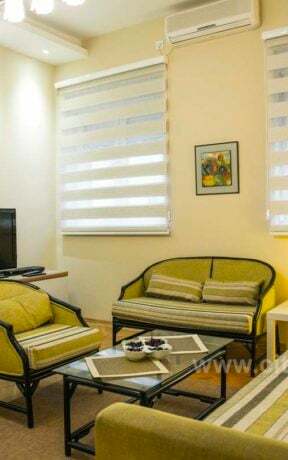 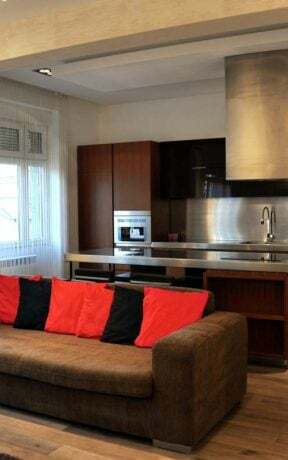 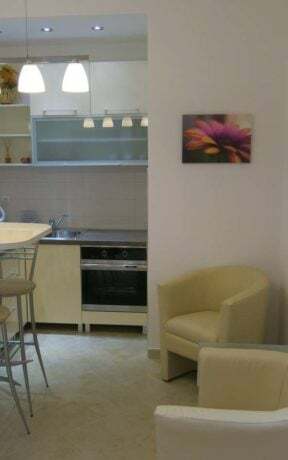 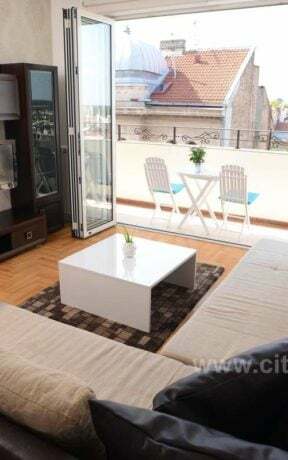 Structure: Apartment is equipped to be suitable for tourists, business people and large families with children. 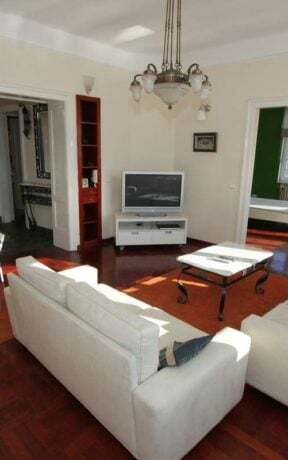 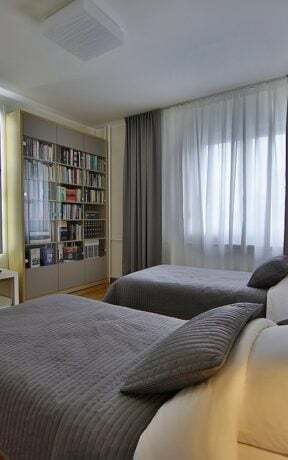 It contains two bedrooms, one with very comfortable double bed and the other with three high quality single beds (two can be put together into one king size bed), living room with bed, connected with kitchen and bathroom.